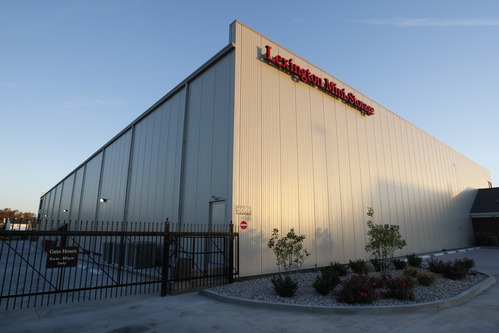 Lexington Mini-Storage has storage rental facilities near you at Hamburg. We have conveniently located self-storage units for people who live in the following areas of East Lexington: Hamburg, Bryant Road, Man-O-War Boulevard, Winchester Road, Greenbrier, Chilesburg Road and other residential areas in East Lexington. Lexington Mini-Storage was founded with the intention of providing the best possible self-storage experience for our customers. Not only does Lexington Mini-Storage strive to provide a top-notch facility with unmatched quality, but we are determined to provide outstanding customer service and an excellent value. Lexington Mini Storage takes great pride in having the cleanest facilities in the Lexington area. Lexington Mini-Storage near Hamburg offers premier residential and business storage in Lexington at competitive rates. 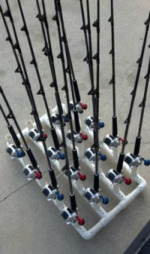 Our storage facility was designed to provide the right solution to a wide variety of storage needs. Our goal is to help you find the storage unit that helps you accomplish whatever you are looking to do. We have a wide range of unit size options and climate controlled units for those sensitive items for residential, commercial, student and military customers. Sizes range from a 25 square foot storage unit all the way to a 400 square foot storage unit, which is big enough for furnishings from a 4-5 bedroom home or apartment with appliances, also ideal for equipment or commercial inventories. Our storage facility is consumer friendly, completely fenced with computer controlled gate access and our grounds are well manicured. Lexington Mini-Storage is committed to providing our customers with the highest quality of service. Our team of professionals always goes the extra mile to make sure that your storage needs are fulfilled. You can reserve your storage unit directly on site. The reservation process only takes a few short minutes. Simply choose your storage unit and move-in date, and let us handle the rest. We also have a variety of moving and packing supplies available. Our moving van and platform carts are also accessible to assist our customers. Lexington Mini-Storage near Hamburg is open: Monday thru Friday from 9:00am – 6:00pm; Saturdays from 9:00am – 4:00pm; Sundays open by appointment. Our customers have access to their storage space 365 days a year between the hours of 6:00am – 10:00pm. Lexington Mini-Storage offers you superior self-storage space for a competitive price at our East Lexington location near Hamburg, at the intersection of Bryant Road and Pleasant Ridge Drive.